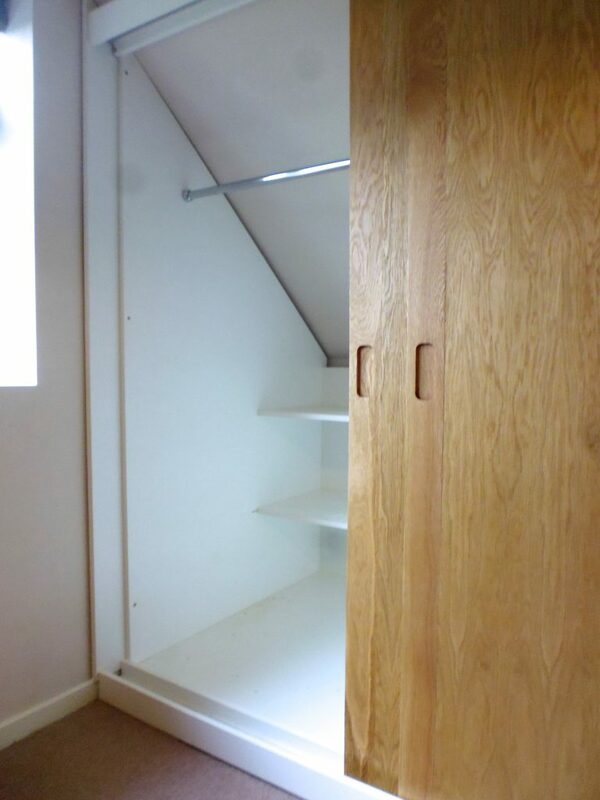 The photos here show a recently completed project to build and install a fitted wardrobe into a loft extension. 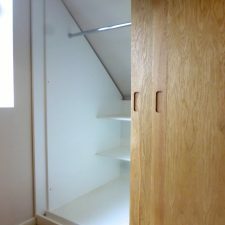 Loft extensions can be difficult places to work as space and access are often limited. 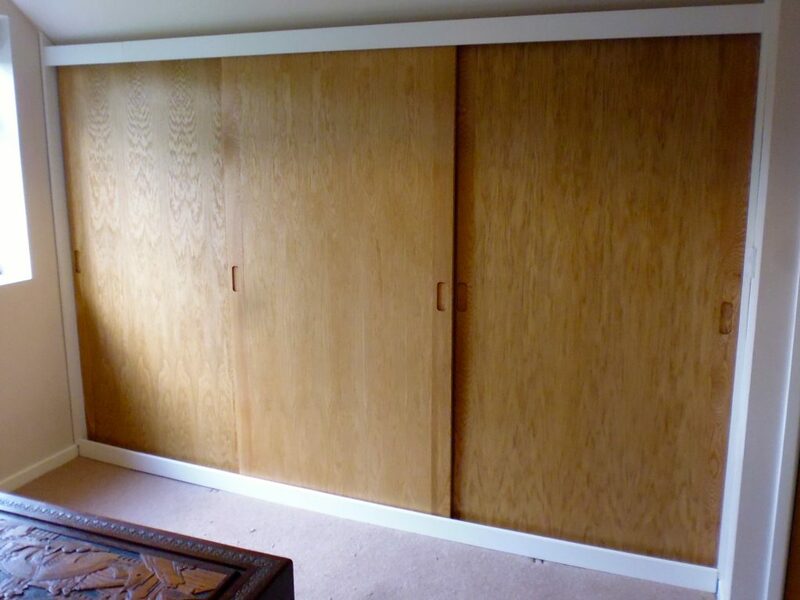 The ceiling slopes back behind the wardrobe finishing just a meter from the floor. 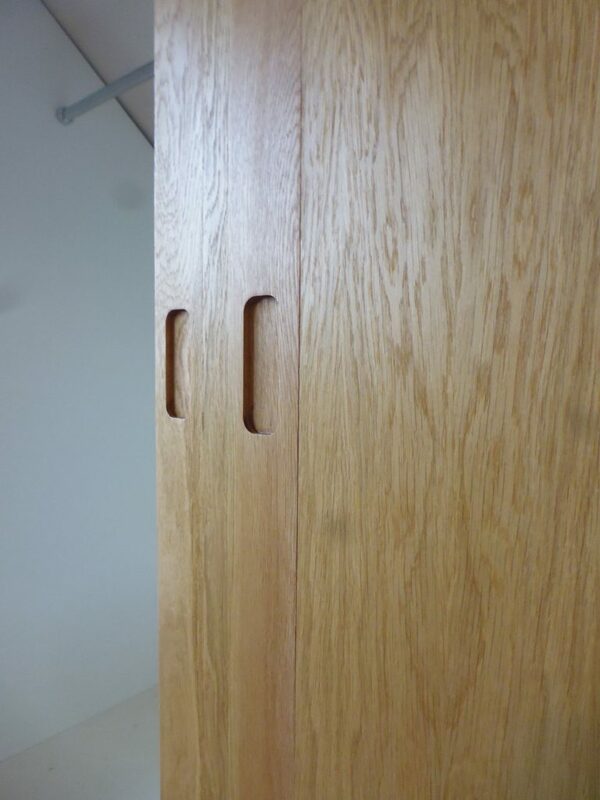 I have used the space at the back of the cabinets for shelving, with hanging rails in the taller front part. 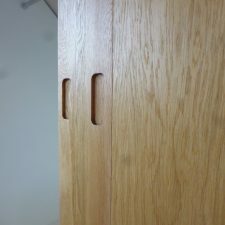 I have included a couple of photographs of the oak doors, they are made with a combination of solid oak and veneered boards and are finished with oil. 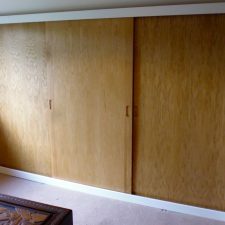 This entry was posted in Wardrobes & Cabinets and tagged fitted furniture, oak, wardrobe. Bookmark the permalink.